Don't waste any of your precious prep and planning time looking for things! Get organized! You will thank yourself forever!!! 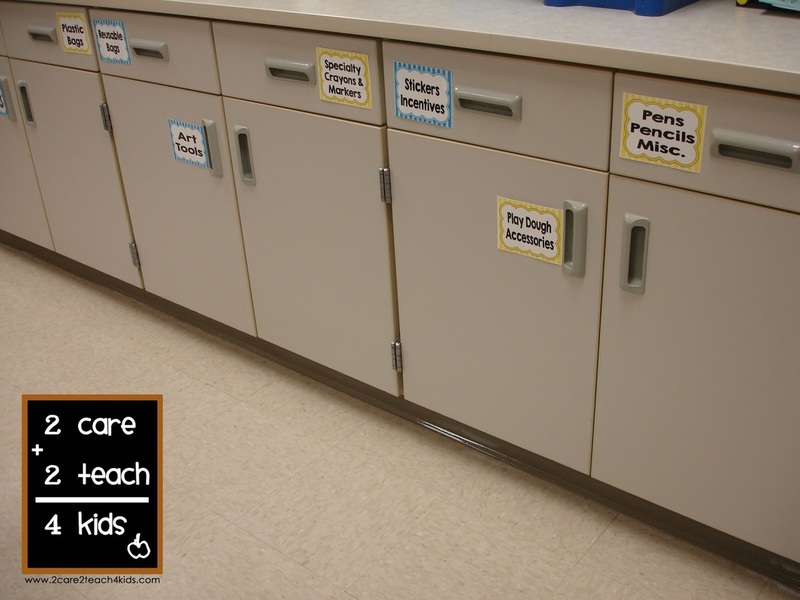 Download and print FREE supply labels like you see here. Label, label, and label some more... Download and print labels for your storage cupboards, your art and office supplies, and anything you need to be able to find quickly. 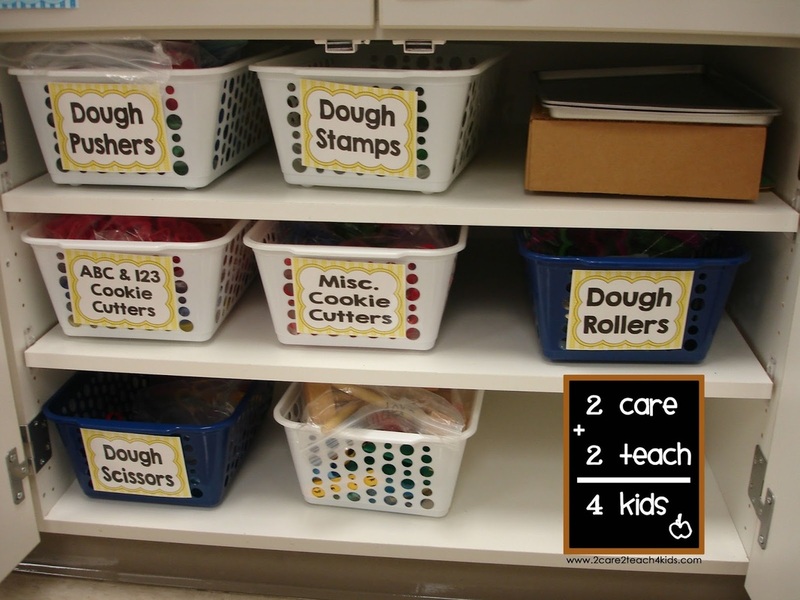 Label the outside of your cupboards with the general supplies found inside, and label smaller organizational baskets on the inside! Your local dollar store is often a great place to find inexpensive baskets or bins to help collect supplies and materials. Use these simple book divider labels any way it works for you. For your teacher book supply or on your classroom shelves. 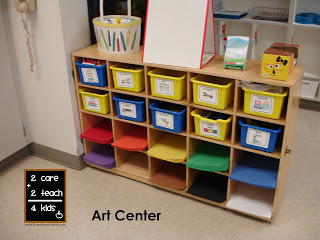 There are labels for many popular early childhood themes!